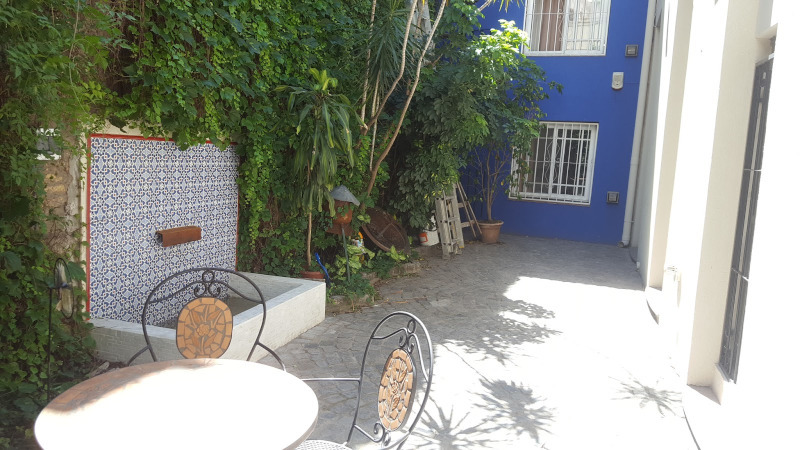 A very attractive characteristic of the Casa Chorizo is the internal patio that an integral part of the house. It provides tranquility and space to relax and also grow plants. 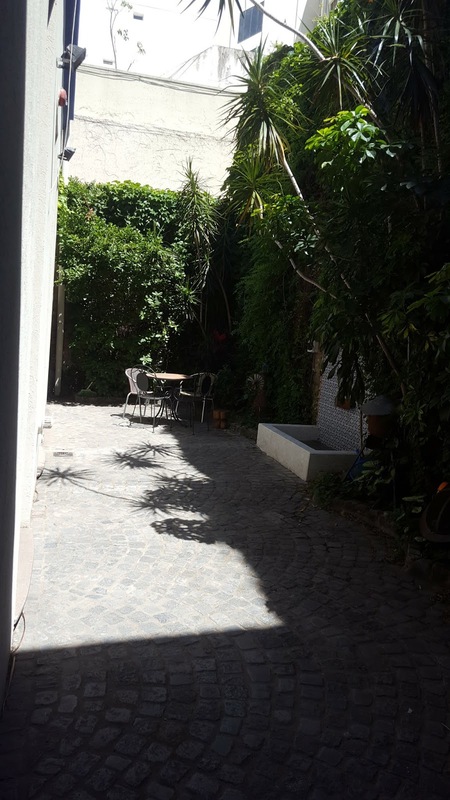 The patio is 4.5 meters wide and measures around 16 meters deep. 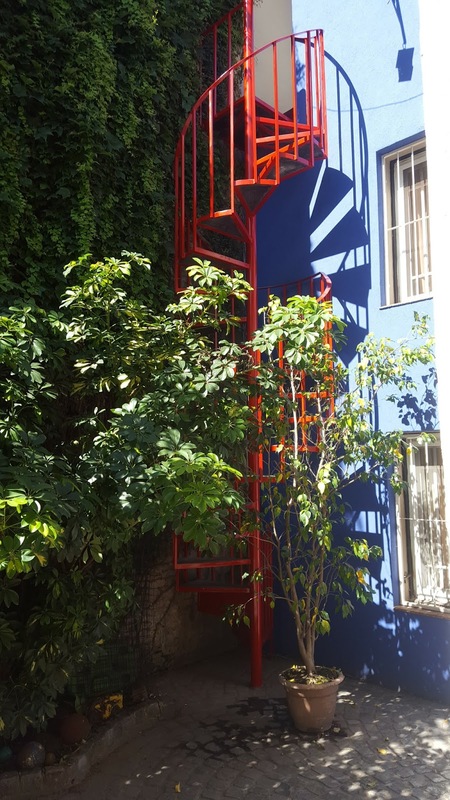 The wall that is shared with the neighbors is full with various types of climbing plants and acts as a natural vertical garden. We also grew some small palm trees. We also decided to have a fountain in the patio that during the warm afternoons gives some coolness in the patio. 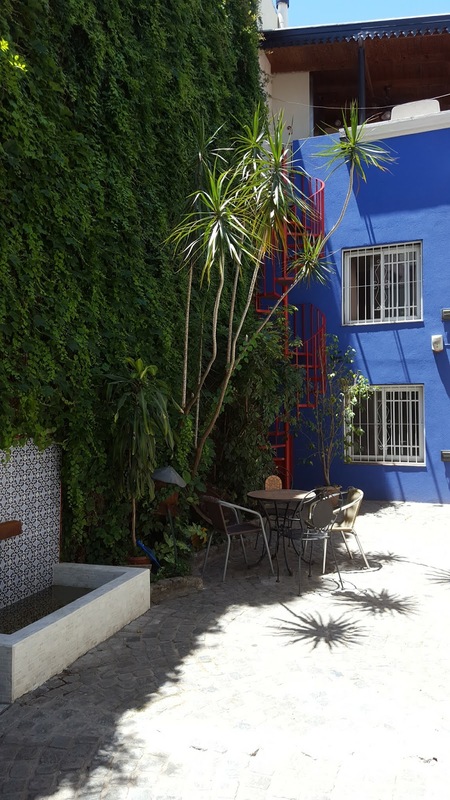 The plants gives us a green natural wall that changes with the season, growing colorful flowers dependent on the season and in spring even attracting kolibris looking for food. 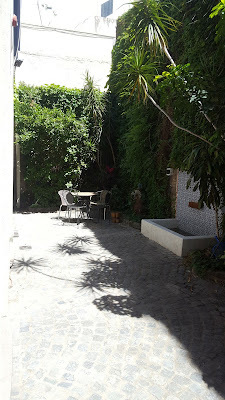 The sides of the wall with the neighbors is with a band of earth of around 50 cm that grows the wall plants with some trees. The water tank measures 1.6 meter by 90 cm and has a fountain that is placed on the side of the wall. 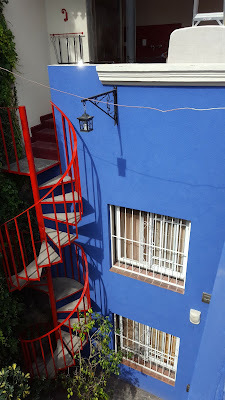 The stairs are in the other corner that lead to the terrace. And there is a basketball hoop integrating with the garden and has a rustic feel that is located on the inside short side wall. The floor of this outside space is with small cobblestones, that are also used to separate the plants from the floor. The opposite wall is given a contrast color to give the patio a more spacious and colorful look. 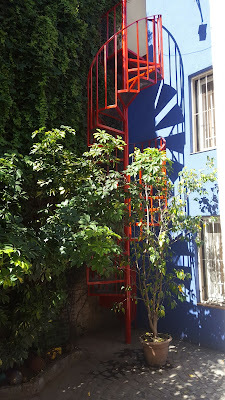 The stairs to the terrace was painted red to give it an additional contrast and also to provide a symbolic red line through the outside space. On the top of the stairs, we installed an additional arm to hang a lamp. 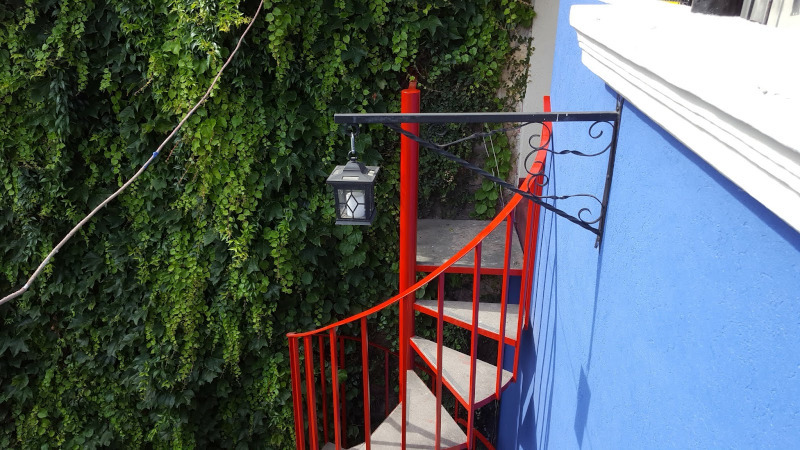 But when taking off the lamp and replacing it with a cable, the this lamppost serves as a crane to lift goods up from the patio to the terrace. In another post we will go deeper in how the fountain is built and how the basketball hoop is integrated in the patio. We installed three large 50W LED lamps with warm yellowish feel on the wall to face the plants. 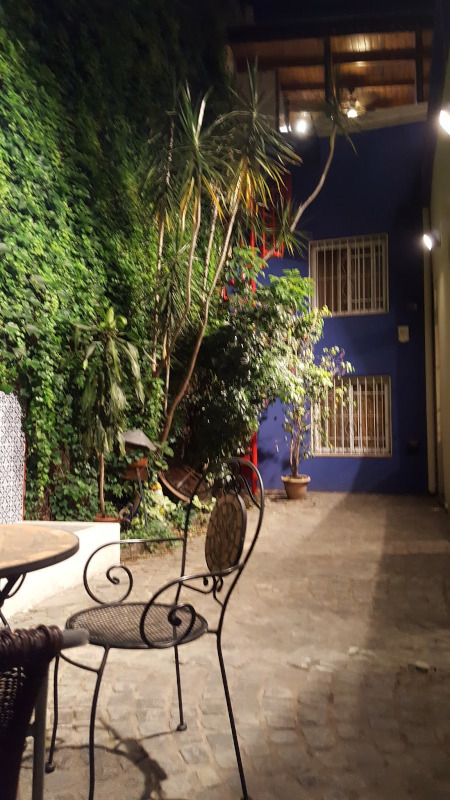 During the evening and nightfall , the LED spots brighten up the patio and gives it a warm rustic feeling and environment.Click on the following topics in the top menu to see more details on the patio.